Despite approaching the enlistment time for all of the BIGBANG members, none have made any hint towards enlisting any time soon. 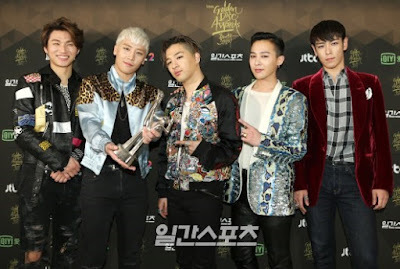 YG Entertainment decided to respond to rumors the group might be enlisting, saying, "They haven’t even discussed it." An official further stated on June 1st that the members will enlist individually, not as a group together. Several media sites report T.O.P will be the first to enlist, due to him being the oldest. G-Dragon and Taeyang are rumored to release solo albums next year, meaning they won't enlist before that. When do you think the group members will enlist?